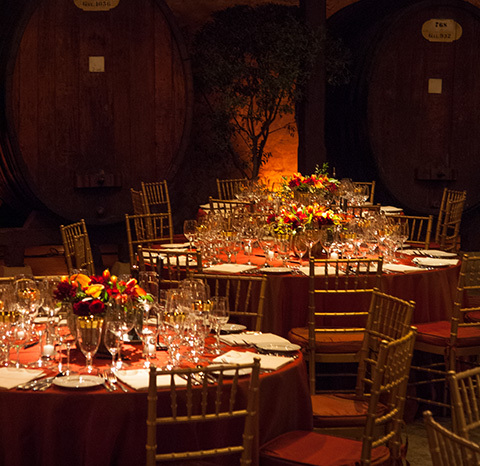 The South Barrel Room is our most popular and versatile locale, accommodating both intimate groups as small as 15 guests to large parties of 200 or more. This authentic barrel room boasts original carriage doors, towering ceilings and turn of the century 1000-gallon casks. The dining area opens onto the Chateau Terrace, which is ideal for after dinner cigars and port or can be tented for additional seating. Rubicon and Excelsior members receive a 10% discount on private events. Contact our Events department to take advantage of your exclusive benefits today. Based on availability. Minimums apply.